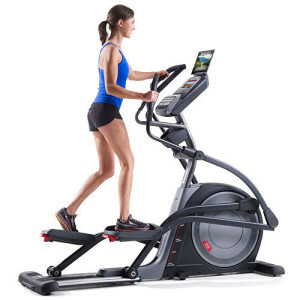 There are many different types of ellipticals on the market ranging in motion type, quality, technology, and price. For a first time buyer, the choices can be overwhelming and confusing. Without a little bit of research you may end up with a cheap machine that doesn’t last or a tricked-out machine that cost too much and is way more than you need. We’ve compiled this list of treadmill frequently asked questions to start you on your way to educated shopping. Explore the site for more detail on any of these topics. How Much Should I Pay for an Elliptical? We recommend you pay at least $1,000 to get a decent quality elliptical. A machine that costs much less may have questionable quality and durability. There are three main benefits to an elliptical trainer. 1) It has very low impact and is much kinder to your joints than running. 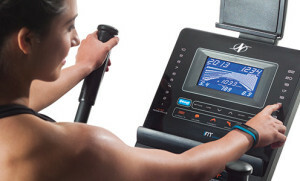 2) Many ellipticals allow you to work both your lower and upper body at the same time for a more effective session. 3) An elliptical has fewer moving parts and less impact than a treadmill so it typically has fewer mechanical issues. Why Should I Pay Attention to Warranties? The warranty on your new machine is a great indicator of the quality since manufacturers put longer warranties on products they know will last. If you see a machine with a 90-day parts and labor warranty you can be sure it’s a piece of junk. Instead, look for a warranty of at least 3-years parts and 1-year labor. Many brands will offer 5 or even 7 year warranties for the top models. What Type of Drive System Should I Buy? There are four types of drive systems to choose from for ellipticals: Rear Drive, Front Drive, Center Drive, or Suspension. The stride on a rear drive machine feels like you are walking or jogging and you should feel well-centered. Front drive machines are usually easier to get on or off because you don’t need to step over the machine. They feel a bit more like you’re on a stair climber and some machines have the tendency to make you lean forward a bit. Center drive machines are newer to the scene and features a more compact design that allows the user to stand more upright, however they do not have the ability to increase incline level. Finally, you might consider a suspension elliptical. Instead of riding on tracks like the other models, these machines have foot pedals suspended above the ground to provide a comfortable and smooth workout experience. What are the Console Technology Options? New advancements in technology and programming are constantly being added to the latest models. Look for a console that easily displays the basic stats in any lighting (some LCD screens are hard to read). Also look for amenities like water bottle holders, fans, and speakers. Interactive tech features like iFit Live (from NordicTrack and ProForm), ViaFit (from Horizon, Vision, and Matrix), MyLiveLight (from Yowza), and the Sole Fitness App allow users to set goals, track progress, and view on-screen scenery. They each have their advantages, so pay attention to reviews to learn which would fit your needs best. What is Heart Rate Control? Some machines will have hand grips to check your heart rate, while others will include wireless heart rate straps so you can see constant updates on your exertion. Knowing your heart rate mid-workout can help you plan a more effective session. What are the Types of Resistance Systems? All resistance mechanisms are provided by magnetic fields. 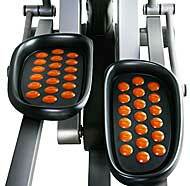 Budget and mid-priced machines will uses manual or motorized brake systems to provide resistance on the elliptical. Higher end machines use eddy current brake systems that have no moving parts. This type of resistance is very low maintenance. What Size Elliptical is Best for Me? Machine sizes vary greatly based on the type of drive system you purchase and the quality of the machine. Cheap machines that are very compact tend to have choppy, uncomfortable strides. Larger and longer machines are often more stable. You can also look into center drive machines or folding ellipticals that can fit on a small footprint in your home. Why do Stride Length and Foot Pedals Matter? The stride length needed will depend on your height, but don’t purchase a machine with less than an 18” stride length. Taller users should look for 20”. Look for foot pedals that flex to promote circulation and prevent toe numbness. Some brands will come with cushioned or articulating pedals, which are nice. What Flywheels Weight Do I Need? Light flywheels on cheap machines result in a choppy and uncomfortable motion. Look for a flywheel that is at least 20 lbs. What Machine has the Most Stability? Look for machines that have a base and weight that results in solid stability. Cheap or light-weight machines will rock while they are in motion. Still have questions? Check out our Complete Buyer’s Guide list of articles to get more information about finding the best elliptical for your body and budget! Or, go right to our Best Buys Ellipticals page to get started with your shopping!